Waist (Front) 22". Waist (total) 44". Condition: New. SIZE 22W APPROX 21" ACROSS WAIST AND 31" INSEAM. IF WE ALL WORK TOGETHER, WE CAN HELP MAKE THIS WORLD A BETTER PLACE. ITEM IS SECURITY MARKED. 💰💰💰💰💰. GOD BLESS EVERYONE!!!! Waist (total) 40". Waist (Front) 20". 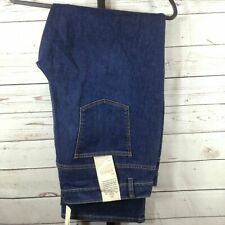 · This is a TALBOTS 5-pocket jean with dark classic indigo wash cotton stretch denim fabric and styling! Fit is straight through the hip and thigh and sits at waistline. Legs are straight to opening. Back Elastic waist. We are only human and may make a mistake once in a while. They are white denim with a front zipper, slimming tummy panel, and classic jean styling. Boot Cut Jeans. Does the fabric stretch?. Dry clean only?. Overstretched / dry rotted elastic. Country of Manufacture. Outseam (total length): 43". Below you will find lists of condition problems we check for. 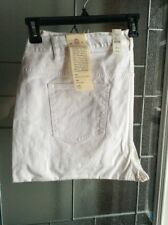 · This is a TALBOTS 5-pocket jean with white cotton stretch denim fabric and styling! Fit is straight through the hip and thigh and sits at waistline. Legs are straight to opening. Extra slimming panel at tummy inside. Talbots Woman. Comfort Stretch Denim. Faded Denim Blue W/ Whiskering. Straight Leg. 15" Leg Opening. 93% Cotton / 6% Polyester / 1% Spandex. Favorite 5 Pocket Style. Wash Before Wearing / Machine Wash Cold / Tumble Dry Low. Leg opening—10”. Front rise—12”. Length / Outseam—42”. Inseam—31”. Size: 14W. A classic silhouette with a straight fit from knee to hem. This updated style is exactly what your closet's been missing! The comfortable stretch denim, flattering high rise and exclusive slimming panel work to hold you in, smooth you out and contour curves for a flawless fit. TALBOTS DENIM STRETCH FIVE POCKET JEANS CLASSIC FIT BOOT LEG. Style Classic Fit, Relaxed Leg, Curved Waist, Boot Leg 5 Pocket Jeans Front Zip with Button Closure Double Jeans Stitching. MATERIAL: 98% Cotton, 2% Spandex for stretch and wrinkle prevention!